Professional skin care treatments are essential to the health and vitality of your skin, but equally important is how you treat your skin at home every day. Here are some simple tips to revamp your home care; think of them as spring cleaning for your skin! It takes an average of 17 days to change a habit, so pick one or two things to change at a time, and give yourself at least 2 ½ weeks to get used to each change. Don’t Skip Sunscreen. Ever! Sun exposure is the biggest cause of skin damage. 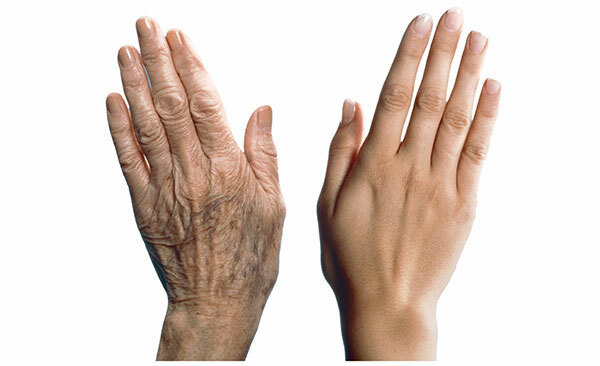 Your face and hands are exposed to the sun’s rays every day, even if only in small doses. 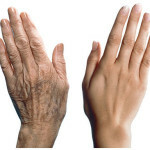 Make the application of sunscreen to your hands and face an essential step in your morning skin care regimen. Don’t skip your evening cleanse. The average person touches their face or head 2000 to 3000 times a day. Think about all other surfaces you touch during the day, and in a city like Las Vegas where we have a constant flow of international tourists…that’s a lot of germs, from a lot of places. In addition, you are also collecting dirt and toxins afloat in the air. Then factor in your makeup and other products you put on your face in the morning, and over the course of the day that adds up to a terrifying layer of who knows what. Wash your beautiful face before you go to sleep, no matter how tired you are! Sleep: get enough. Speaking of being tired, sleep is essential to the health of your skin as well. During sleep, when your stress hormones (such as cortisol) are low, your cells are able to spend their time and energy repairing the damage they encountered during the day, and rid themselves of toxins. Without enough rest, your cells cannot perform this function, and that impaired ability will show up as a dull complexion, breakouts, and overly dry or oily skin. 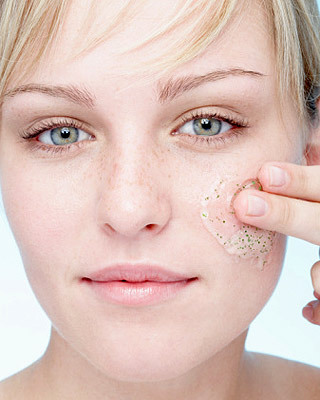 Don’t just spot treat breakouts. Whatever the reason for your breakouts, addressing the underlying cause will do you better than only treating spots when you see them. See number 2 and 3 above: cleanse properly and get better sleep. If you are continuing to see breakouts, talk to your esthetician about other causes, such as a lack of omega 3 fatty acids, poor diet, or age related hormonal changes that you can address. Give new products 6 to 8 weeks to make a difference. Do you feel like you’ve tried every product out there? Let your esthetician help choose products that fit your skin type and lifestyle, and then make sure to give those products plenty of time to work their magic. 6 to 8 weeks may seem like a long time, but the end results will be worth it. At Privy Skin Care we celebrate all forms of beauty. Use our convenient online scheduler to book your appointment today!